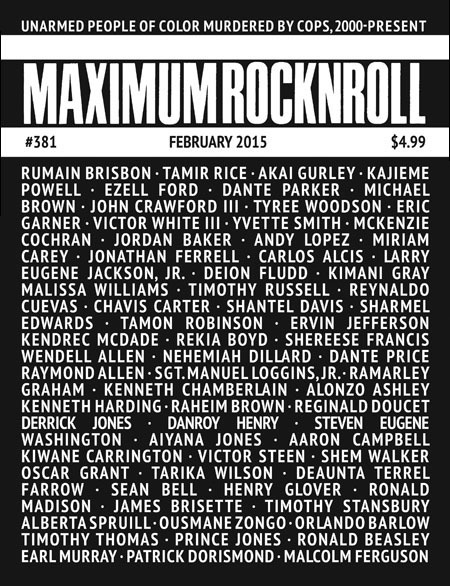 Welcome to 2015 and another issue of the longest-running punk fanzine on the planet, Maximum Rocknroll! 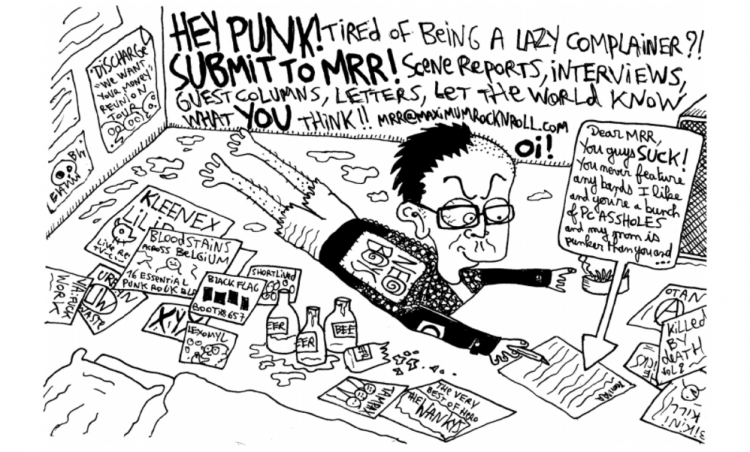 MRR #381, the February 2015 issue, features a posthumous interview with the Pacific Northwest’s HYSTERICS conducted during their European tour, Liz Panella of EARTH GIRLS interviewing Scott Plant of BROKEN PRAYER and vice versa, and a mini-scene report highlighting Icelandic punk with an accompanying interview with Reykjavik’s BÖRN. We also talked to Oslo’s DARK TIMES who just released an excellent new LP Give, Madrid’s ACCIDENTE, London’s QUANGO, and Vancouver’s VACANT STATE, and we caught up with Mallorca’s excellent Metadona label. Our intrepid contributors documented Toronto’s Not Dead Yet fest for our photo spread and interviewed Texan punks WICCANS in between packed gigs at the fest. 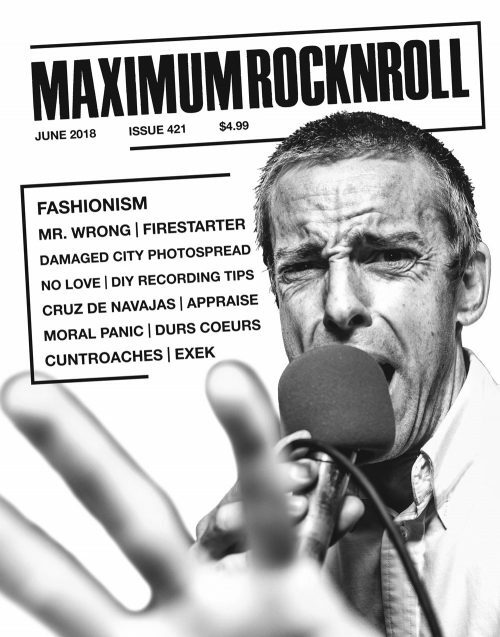 All this plus book, movie, zine and demo reviews, all the columnist you love to hate (plus a couple new ones), and of course, the most extensive punk record review section in print. 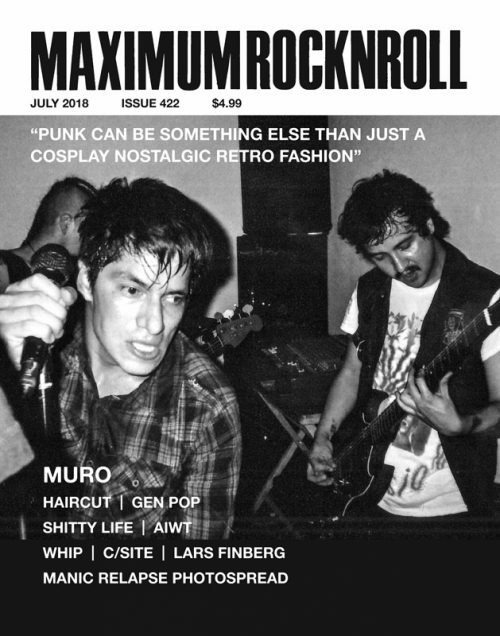 Get your copy today and support thee longest running, all volunteer, not-for-profit punk zine on the planet!